Our campground is nestled in 200 acres of white pine forest with 300 beautifully shaded sites, some in secluded tenting areas and others with full facilities for almost any size rig. 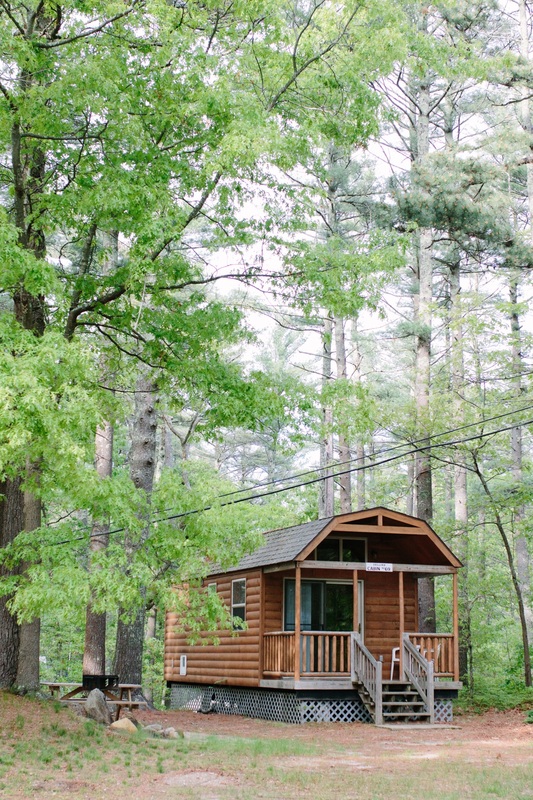 Pinewood Lodge Campground is nestled in a 200 acre pine forest, and is home to plenty of fish and lovely wildlife. We have plenty of fun to share with campers of all ages. Come visit the Lodge for a snack or to grab that something you wish you hadn't forgotten at home. 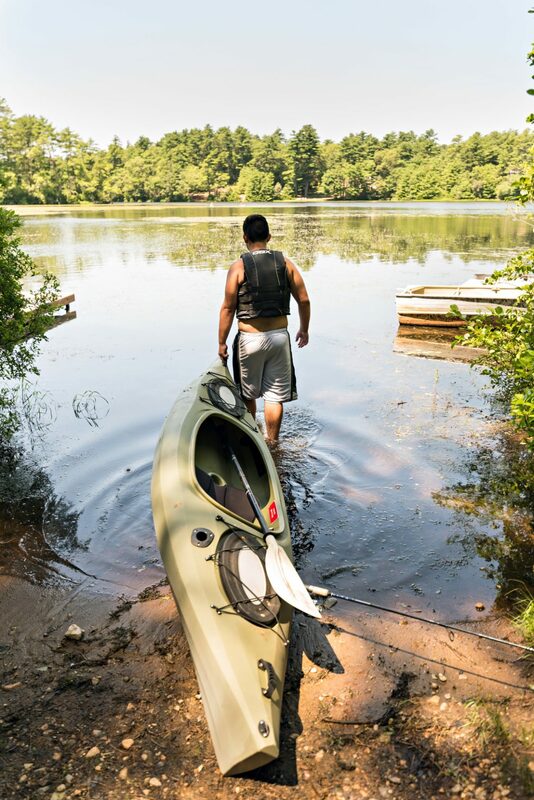 Pinewood Lodge features a 50-acre lake to investigate with our canoe, kayak and row boat rentals. We are located on a 50-acre fresh water lake and boast over 3,000 feet of lake frontage as well as a six-acre island. The lake waterfront is great for bass fishing, swimming, relaxing and boating. If you would like the chance to get away and enjoy the great outdoors without having to rough it, Pinewood Lodge has everything you need. Pinewood Lodge has added to its selection of rental accommodations. If you are new to camping, or simply seek to stay in something which is more like home, one of our rental units might perfectly suit your tastes. Includes a full kitchen, full bath, 1 full size / twin bunk bed, AC/heater and cable TV. Off the back of the cabin is a screened porch which overlooks Pinewood Lake. Include 1 full size bed and 1 bunk bed, an efficiency kitchen, toilet/shower, cable TV and a porch. Include a futon, bunk bed, table and chairs. Electricity included. Plymouth, Massachusetts is America's Hometown, and home to great historical sights like the Mayflower II and Plimouth Plantation. We are centrally located between Boston, Providence, and Cape Cod, each less than an hour away! Tented here 2 times over the summer, absolutely beautiful surroundings, great little beach, enjoyed the boat rentals and ice cream shop. All the staff we pleasant and helpful. We were definitely happy campers and plan on staying again next summer!!!! I've been to Pinewood Lodge a few times and it's always a BLAST! There are activities for people of all ages to enjoy, and I couldn't be happier with the professionalism and friendliness I experienced while there. The staff is very friendly, helpful & welcoming. The campground is very clean and kept well. The activities are great for all in the family. We are so happy we found you! We only live around 40 minutes away, so Pinewood Lodge serves as our "home" campground for beginning and end of season stays. The staff is super helpful and friendly, the facilities are great, and like others have said, there is a great mix of sites from Class A to tent campers. We love the place, and will be coming back every year. My husband and I were on our way to another campground but turned into Pinewood on impulse and ended up staying. The sites are nice, grassy and treed. There is a very nice mix of seasonal and weekenders as well as types of different sites for tents to large RVs. Also has cabins and yurts. The facilities and grounds are very clean and well kept. Nice store and food onsite. We actually loved the campground and location. Feels like true camping but actually close to stores and the area activities.